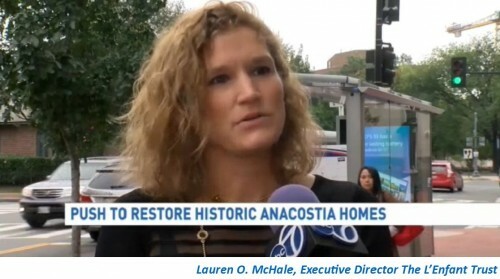 Washington’s ABC7 reports on the proposed bill that would allow the DC government to give four blighted houses it owns in Anacostia to The L’Enfant Trust. 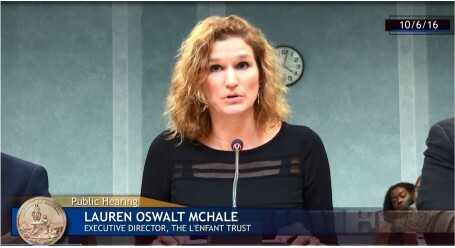 The L’Enfant Trust’s Historic Properties Redevelopment Program featured on WAMU. The community speaks out and seeks a solution with the Trust. 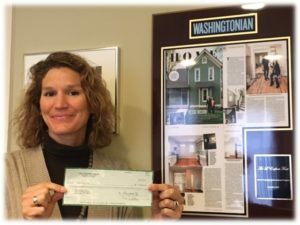 By thelenfanttrust	| Mar 10, 2016	| Comments Off on 1772 Foundation Grant Recipient! With this generous award in hand, and the Trust’s completion of its first two rehabilitation projects we invite our city’s agencies – who own or control deteriorating properties in historic Anacostia – to join us in taking action to reclaim these historic assets and to honor the protected status that city preservation laws bestowed on them. 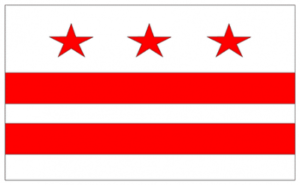 Anacostia has a rich history and its historic district boasts some of Washington’s oldest buildings, but disinvestment in Anacostia over several decades has left many of its historic buildings in very poor shape. They are eyesores in the community, pose safety concerns, serve as magnets for criminal activity and drain city resources. 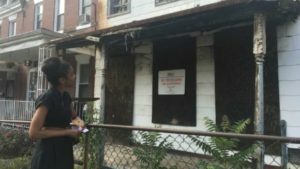 So far there has not been an effective mechanism in place to rehabilitate them and return them to the community, leaving the impression in the community and beyond that the city is doing nothing and is purposely allowing the deterioration to get to the point of no return. 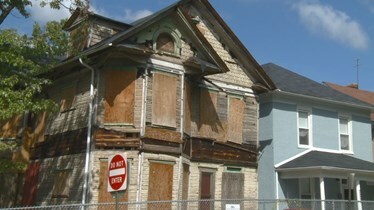 Allowing historic buildings to fall down is not an option for a city that respects its past. 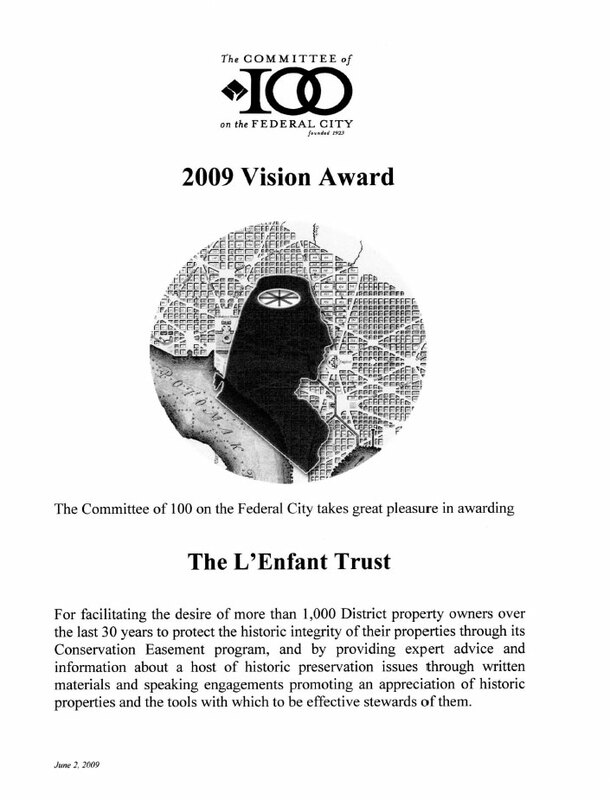 The Committee of 100 on the Federal City awarded The L’Enfant Trust with the 2009 Vision Award.